Swimming in the river is allowed from 01.05. – 30.09. 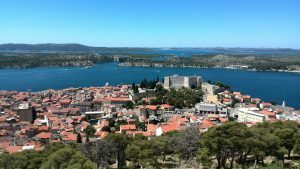 Krka Waterfalls and Medieval Sibenik Private Tour is a private tour of three beautiful sites of South Croatia! 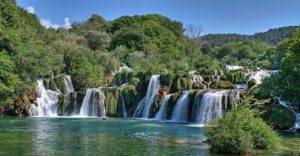 Tour will take you to Krka Waterfalls National Park, and to the towns of Skradin and Sibenik. First stop on this tour will be at the Krka Waterfalls. This national park is a vast and primarily unaltered area of exceptional natural value, including one or more preserved or insignificantly altered ecosystems. On this tour you will be visiting Skradinski Buk, central and the most famous part of this park. Here you will walk the trail along the little lakes and waterfalls. You will also visit the main attraction on the Krka river – Skradinski Buk Waterfall. 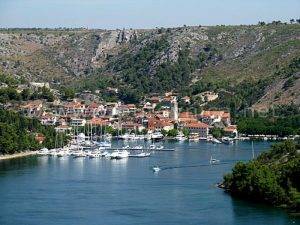 After the visit of the Krka Waterfalls, your guide will take you to scenic medieval town of Skradin. 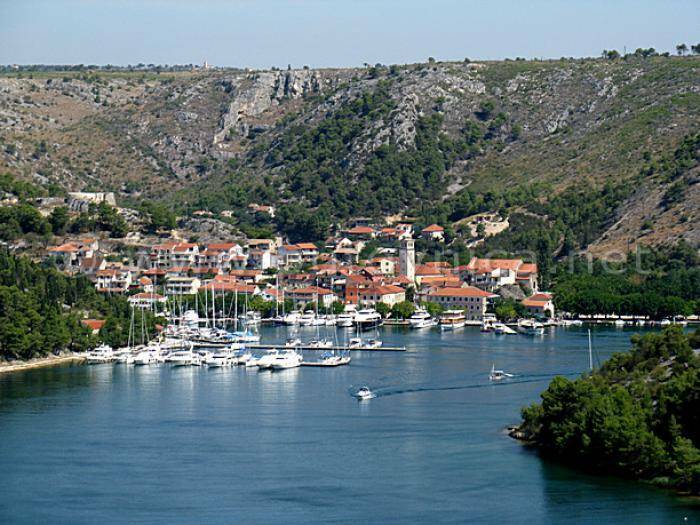 Town itself is in the Krka river canyon and it offers beautiful sceneries. Hence, you will also have approximately 1,5 hours of free time for lunch on your own. 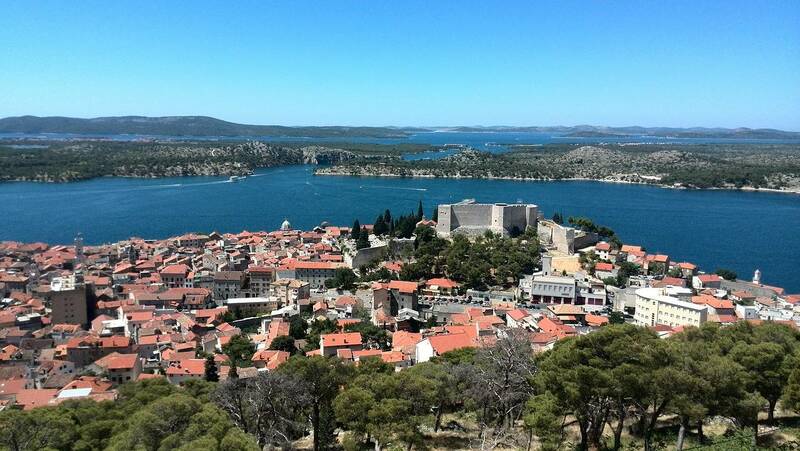 Following the visit of Skradin, your next stop will be at the town of Sibenik. Sibenik is in the central part of the Croatian Adriatic Coast, in the picturesque and indented bay where the Krka River, one of the most beautiful karst rivers in Croatia enters the sea. 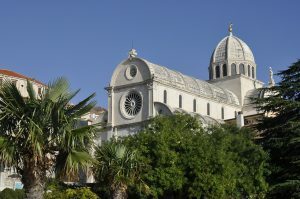 Sibenik’s St. James Cathedral, built over more than a century, is testimony to the persistency, sacrifice and belief of generations of Šibenik inhabitants. Main architect of the cathedral was George of Dalmatia. In his transitional works he combined traits of the Gothic and the Renaissance. Your tour will take you inside the Cathedral and the baptistery. 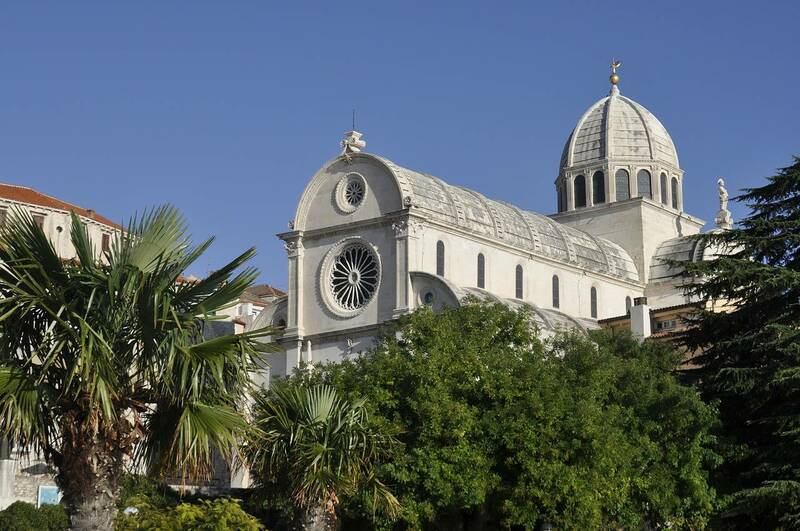 Also, since 2000, Cathedral in Sibenik is UNESCO world heritage site. Join us on Krka Waterfalls and Medieval Sibenik Private Tour and enjoy! This is a private tour customized to suit your needs. 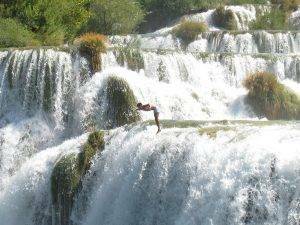 Therefore, admissions for the Krka Waterfalls and the Cathedral of Sibenik are included. Please wear comfortable walking shoes, since it involves a lot of walking. On this tour you will walk along limestone paved streets and uneven surfaces. At the Krka Waterfalls, some steps would also need to be made. This tour includes pickup (by private vehicle) at your hotel in Split area. Bottled water is provided for tour participants. Maximum number of participants on this tour is limited to 7 since we offer private tour experience. If you plan to swim in the river, bring your swimsuits. Please have your shoulders and ankles covered when entering the Cathedral. In a case of a bigger group please contact us by the e-mail. Also, this tour might operate in reverse due to operational reasons.